Oh the joy of icy cold popsicles on a blazing hot day! Little kids are the best at making the most of all the popsicle has to offer because they don't give a care. 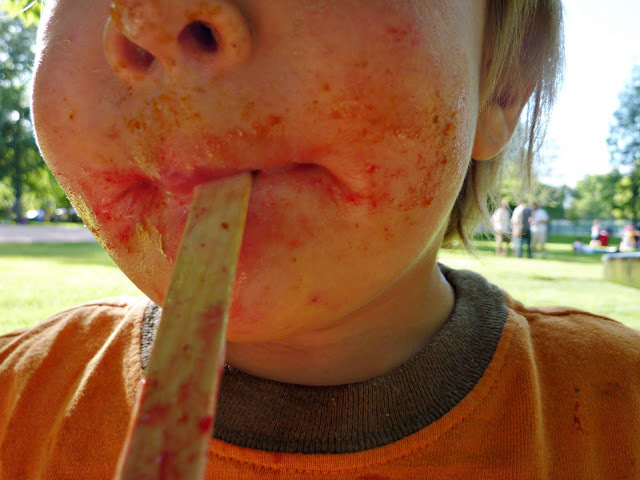 They dig-in without any regard for drips, drops, slurps and burps making the popsicle experience all the more enjoyable. I've been taking notes and striving to embody more of that spirit lately. Next time you see me I might just be wearing my popsicle like Bubba is here.